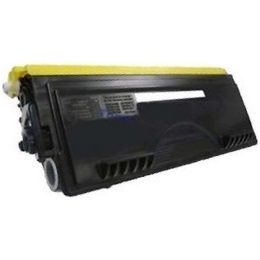 Compatible Brother Toner Cartridge, Black, High Capacity 6,700 page yield. Replaces Brother part number: TN570, TN540. Laser Toner Cartridge compatible with Brother DCP-8040, DCP-8045D, HL-5100, HL-5130, HL-5140, HL-5150, HL-5170, MFC-8120, MFC-8220, MFC-8440, MFC-8640D, MFC-8840.